November 2015 will see the release of the brand new Vasseth light grav tank from Loud Ninja Games. You can read the initial post on this HERE on our blog. 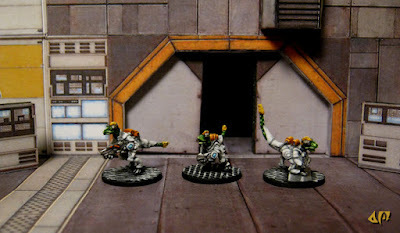 There are many fans of the Space Raptor miniatures, the Chuhuac which were the first codes in the growing range but among the foremost of these fans is Allison M who runs the Painting Agency blog. He has put up a great article with pictures and his own take on a possible future for Humanity that involves the Chuhuac. You can read it HERE. Painting Agency blog had another Space Raptor posting earlier this month called 'Daring Deep Space Dinos' which is also a cracking read. You can see it HERE. 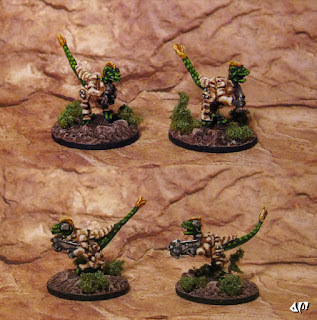 If you wish to see the Space Raptors and all their codes considering your next hobby move in November when the Vasseth comes out as a pack and also a value set then you can see all of their packs on this refined search to 15mm.co.uk's page for Loud Ninja Games HERE.